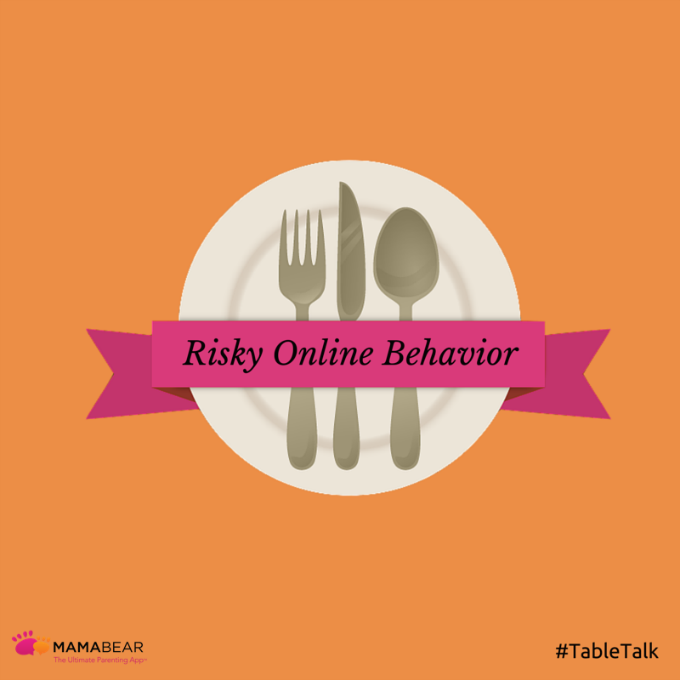 Stopping your child from engaging in risky online behavior may start with one thing — a good dinner table discussion. A recent study by Prof. Gustavo Mesch, a doctoral student in the Department of Sociology and Anthropology at the University of Haifa, found that adolescents were less likely to engage in risky online behavior when they had a strong emotional bond with their family. Children who have open and frequent discussions with their parents about their online behavior tend to participate in less risky behavior. On the other hand, adolescents were more likely to engage in risky behaviors when their parents simply monitored their behavior behind their back without including the children in educational and behavioral discussions about their online life. The study, which included 495 children aged 10-18, confirms that having an open dialog with your kids may be the best way to proactively protect them. So use your time at the dinner table as an opportunity to discuss online dangers and safety habits with your child. Review risky behaviors and dangers. Ask about how their friends act online. Mesch’s study found that kids were more likely to engage in risky online behavior when they thought their friends would approve of it. Adolescents frequently mimic the behaviors of their peers so discuss what your child and their friends are doing and seeing online. Researchers reported that “… families that knew how to establish a relationship of trust among family members reduced risky behavior.” So, throughout your conversations with your child, remind them that you trust their judgment and believe they will make the right decisions. Pay attention to the boys just as much as the girls. According to the study, parents were more likely be concerned about their daughters than their sons when it came to online safety. But the study found that boys are actually more likely to engage in risky behavior online. Give equal attention to boys and girls when dealing with the subject. It’s important to have a dialog that has two sides. The goal of your conversation should be for both parties to share and learn. Children learn about online risks and how to protect themselves. Parents learn about how their children and their peers act online. Most importantly parents should ask questions and allow their children to ask questions of them during this discussion. Avoid accusing your child of behaving badly online if you have been checking their online activity. It will only push them toward bad behavior because they will think you don’t understand or trust them. Don’t sneak behind their back. Having an open conversation eliminates the need for you to sneak behind your child’s back in order to monitor their online behavior. During your discussion, explain to your child that as parents, it is your responsibility to be involved in their online activity and safety. Be up-front about your plan to get involved by using a non-spyware family safety tool that is intended to protect, not infiltrate. By having an open discussion and explaining your motives, your child will be more receptive and understanding of why you need to connect with them in their online lives. Review the features and download MamaBear, The Ultimate Parenting App™ app to both of your devices to show them how you can work together to protect and connect your family and create a safer online environment. The Mama Bear app is available for both iPhone or Android devices. Next PostNext Do You Know Enough About Cyberbullying to Protect Your Children?